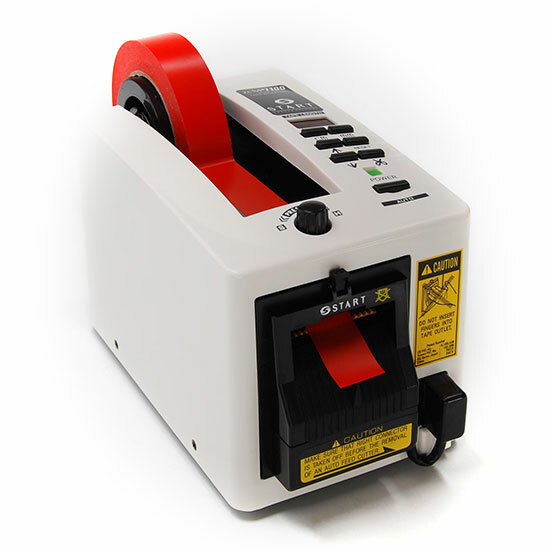 ZCM1100, Electric / Automatic Tape Dispenser with Safety Protective Finger Guard System, by START International. 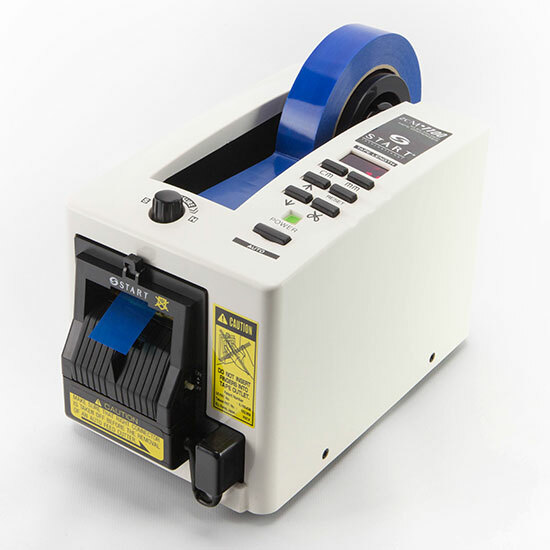 The START International zcM1100 electric tape dispenser with safety guard cutting head automatically cuts and advances predefined tape lengths, and is suitable for medium to high production of repetitive taping in industrial applications. The safety guard protects the operator by preventing the cutter from activating when objects (such as fingers or tools) are present. The dispenser accepts tape rolls in widths from 0.28 to 2" (7 to 51 mm), with an outside roll diameter up to 7"/178 mm. Using the LED display panel, feed and cut can be set to automatically advance and cut the material. The photosensor detects if there is tape at the outlet for accurate and consistent feeds and cuts. The feed and cut can also be operated manually with a push button. Preset lengths of 0.79 to 39" (20 to 999 mm) can be overridden for a custom cut, and then returned to the autofeed settings. Feed roller pressure can be adjusted for tape thickness. 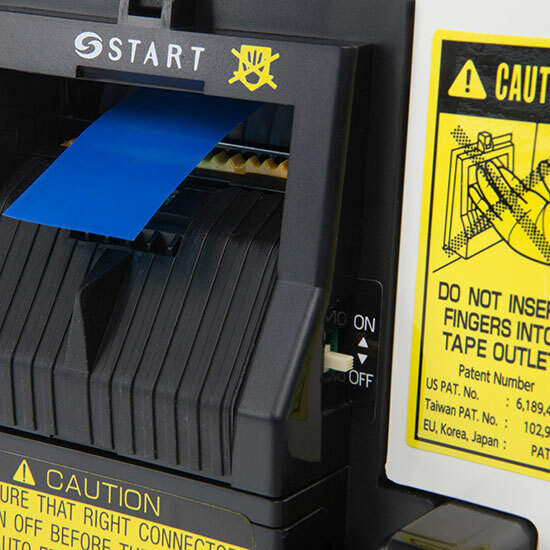 The guillotined cut provides a straight edge to the dispensed tape. Estimated blade life is 200,000 cuts, depending upon the type of tape material. Cut length tolerance is + or – 0.04"/1 mm. The 3-in-1 core holder allows a range of tape roll sizes to be mounted. The dispenser has a steel frame for durability and a cabinet made from flame-retardant, anti-static composite. 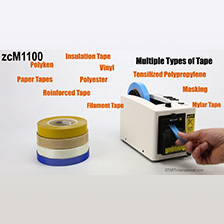 The zcM1100 tape dispenser operates on 117 VDC at 50/60 Hz. It is suitable for industrial uses such as manufacturing, assembly, and packaging.